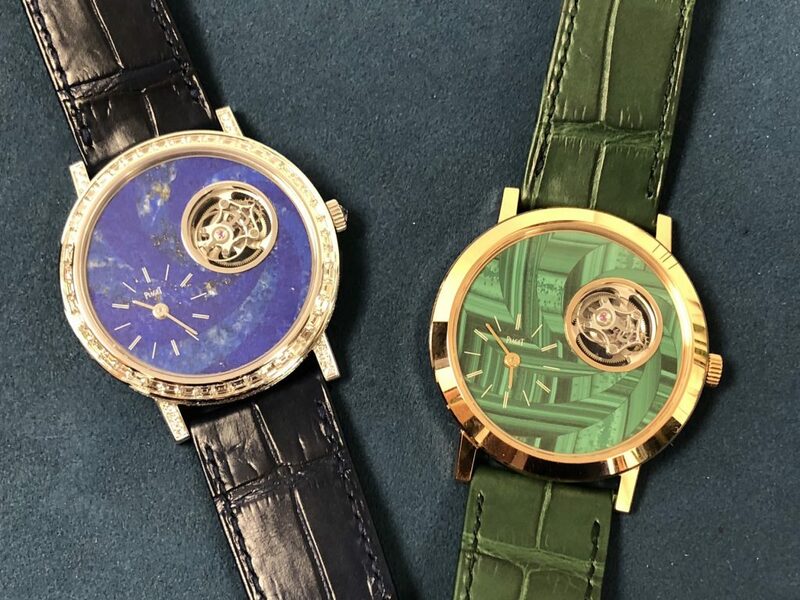 Piaget Altiplano Tourbillon watches made with marquetry gemstone dials (malachite, lapis lazuli). Not too long ago, I wrote a guest editorial for Swisstime.Ch … a powerful reference for Swiss watch for a couple of decades. It was about the concept of the watch dial as art. Here, we revisit that editorial and show off four of the most fantastic Metiers D’Arts watches of 2018. Keep in mind we will be writing in depth about each of these watches in the coming weeks. Cartier Panthere Revelation watch with gold beads that move to form the panther motif. “We have witnessed the rebirth not only of enamel and hand painting of scenes, flowers and animals, but also of the rejuvenation of ancient arts such as sculpting, gold working, straw weaving and mosaics. If we lived in the age of the Renaissance, many a timepiece dial would hang on the walls of the Louvre. 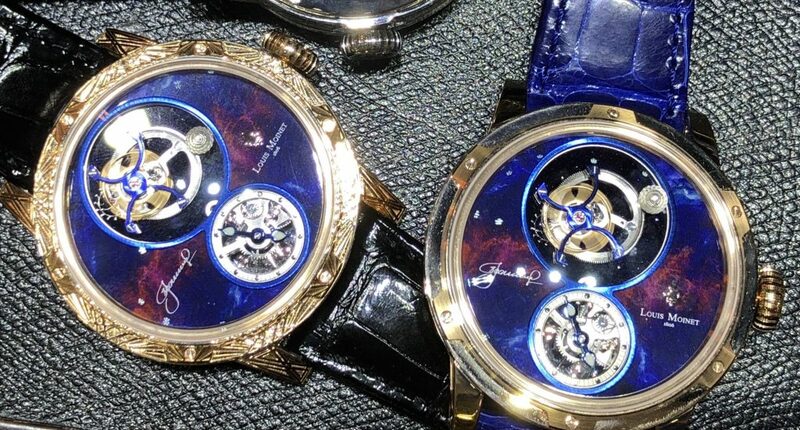 Louis Moinet SpaceWalker watch features an incredibly complicated dial with elements from a meeting in space (future story coming). 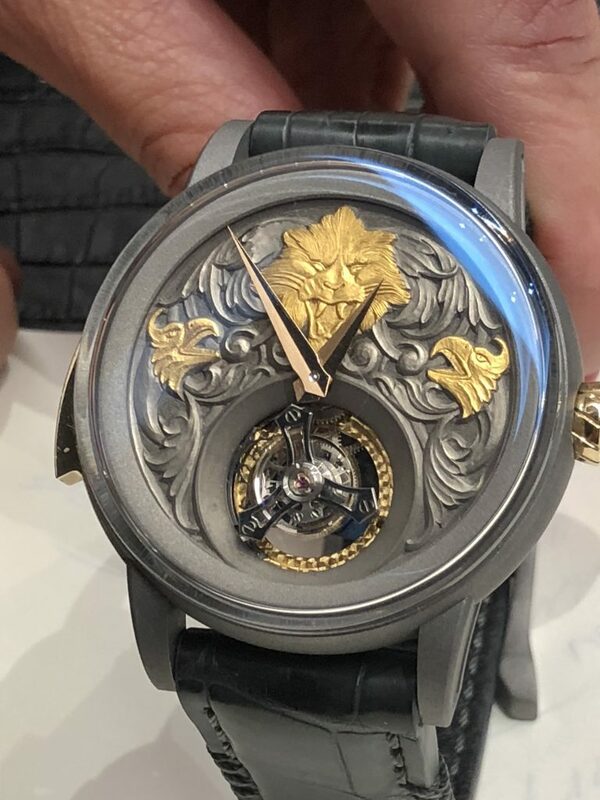 “Interestingly enough, at the same time, we have witnessed amazing growth in the realm of presenting watchcases and movements as art, as well. 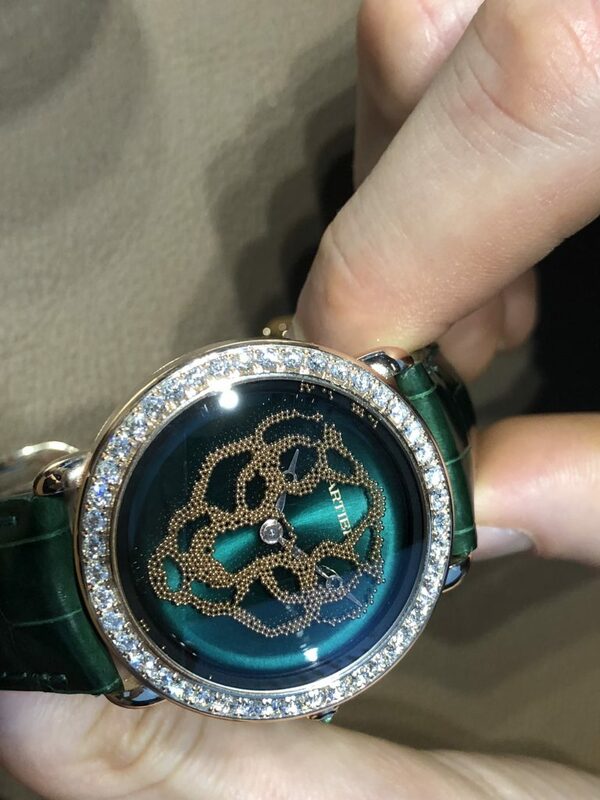 As more and more timepieces emerge in three-dimensional format with cases that resemble objects rather than watches, and with movements that are keenly skeletonized, layered and tiered — we are witnessing the birth of an “interior” Métiers d’ Arts renaissance. We will be exploring each of these four watches in much more detail in the coming months so check back, especially for more hands-on images, details and prices.